We will now go up against four major players in the food industry after our Wall’s Pastry Helping Hand campaign has been shortlisted at the Food and Drink Federation Awards. The campaign, which offered the unsung heroes and community groups of the UK a chance to win a bumper makeover project, has been shortlisted in the Community Partner category. “We’re absolutely over the moon to see our Helping Hand campaign shortlisted at a major awards ceremony,” said Kara Rose, managing director at KRPR. “The campaign was a real hit nationally; we were inundated with entries and some of the stories were truly magnificent and very humbling making it a very difficult job for our panel of judges. NEMI Apito, Nestle UK, RSSL and Premier Foods are also shortlisted for the award. The Helping Hands campaign, which ran throughout 2017, saw the Little Lounge Play Café, tucked away in Pontrypridd, Wales, claim the prize. 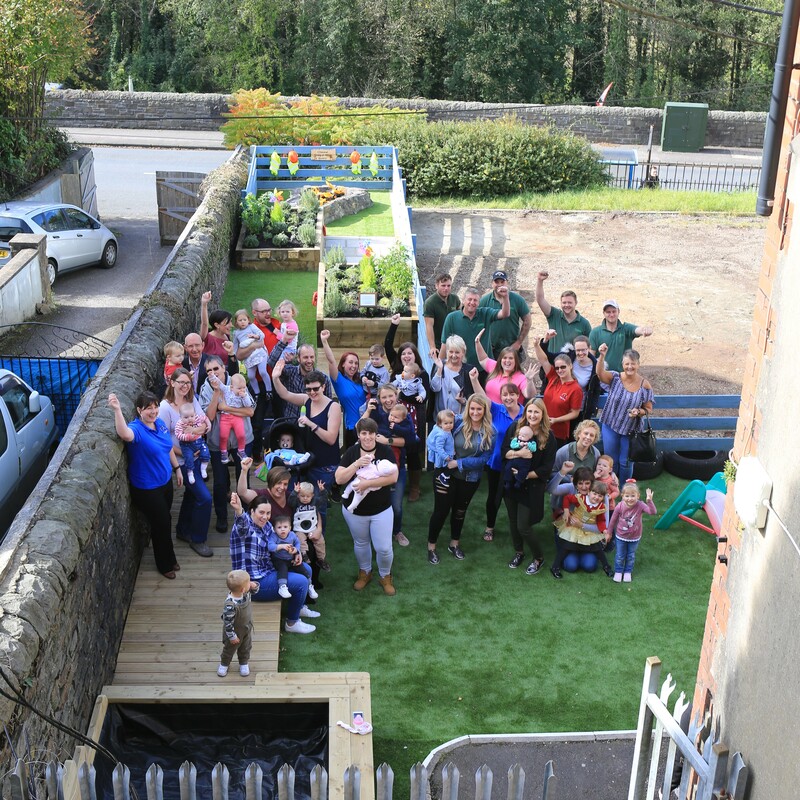 A team of Handy Helpers were deployed and over the space of a week completed a project which saw a unique sensory garden built. Starting in May, hundreds of nominations were received when communities up and down the UK were asked to submit details of an area of their society that deserved a makeover and makes a real difference to the community and after a tough judging process, the Pontypridd café were named the winners. The FDF awards are fast becoming the industry benchmark of excellence for innovation, competitiveness and talent. Each year, companies from across the food and drink supply chain enter the FDF Awards and over 500 guests come together to celebrate the winners at the FDF Awards ceremony. Winners will be announced at an awards ceremony on Thursday, September 20th.